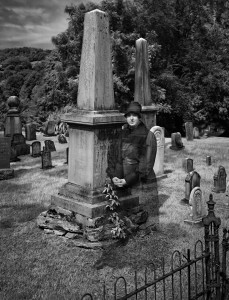 A Spot on the Hill, the original, research-based play returns this October to the Old Jonesborough Cemetery. This is the third season for the show, and this edition features all new characters. If you’ve seen A Spot On the Hill before, you haven’t seen it like this. New faces include Fanny Rhea Fain, who kept a very detailed diary during the Civil War, Amanda Bayless, who had personal ties to the Warner Institute, and Dr. Samuel Cunningham, who helped bring the railroad to Jonesborough. You’ll meet them and many more! Guests are encouraged to bring blankets and chairs to sit on. Come and listen to real stories of real lives among real tombstones. Performances for A Spot on the Hill will take place at 7:00 p.m. on October 14th, 15th, and 29th. There will be a 2:00 matinee performance on October 29th. Tickets are limited, and sell out fast, so make sure you buy yours today! 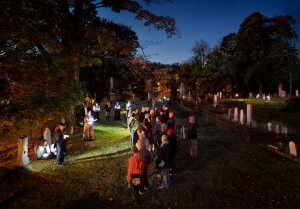 Tickets are $8.00 and proceeds benefit the Heritage Alliance’s cemetery preservation and tombstone restoration fund. Audience members should arrive 15 minutes prior to show time. Parking is available at the First Baptist Church on the corner of Main Street and Boone Street, or downtown. It is a short walk up East Main Street to the cemetery. A golf cart courtesy shuttle will be available for guests who park downtown. This program is not suggested for children under 10 years of age. In case of inclement weather, performances will be moved inside to the Jonesborough/Washington County History Museum. Tickets must be purchased ahead of time. To purchase tickets, please call the Heritage Alliance at 423.753.9580, or the Jonesborough Visitor’s Center at 423.753.1010. Tickets can also be purchased online at https://townofjonesborough.thundertix.com/events. On the day of the event, tickets should be purchased at the Jonesborough Visitor’s Center. 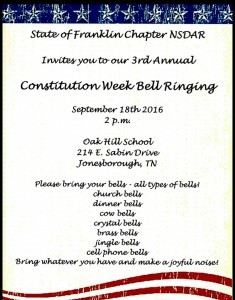 This Sunday, September 18th, at 2:00 in the afternoon, the State of Franklin Chapter of the National Society of the Daughters of the American Revolution (NSDAR), are hosting their Third Annual Bell Ringing in honor of Constitution Week. The event will take place at Oak Hill School, located at 214 East Sabin Drive in Jonesborough across from the Washington County/Jonesborough Public Library. 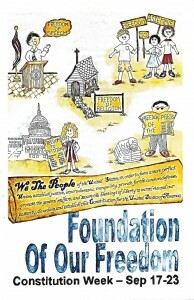 Since the event is taking place at an historic schoolhouse, there will be plenty of history. 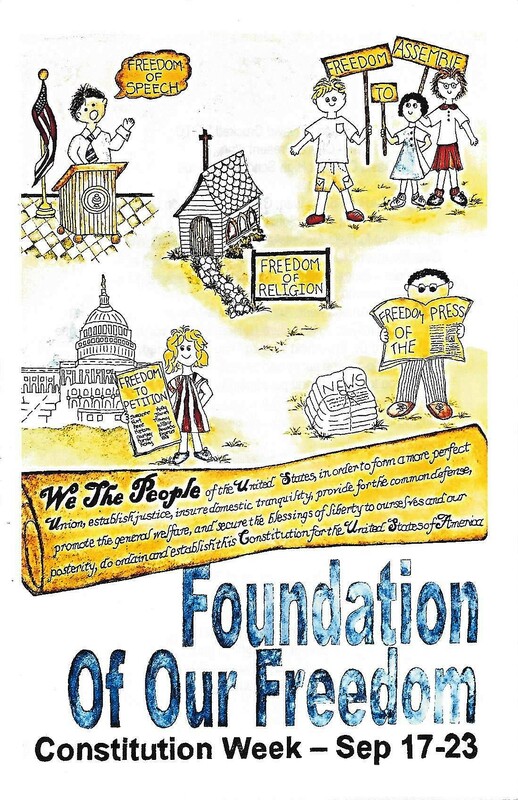 The program includes theatrical presentations on the fight for the 19th amendment in Tennessee, the David Crockett High School chorus, and the Over Mountain Men. 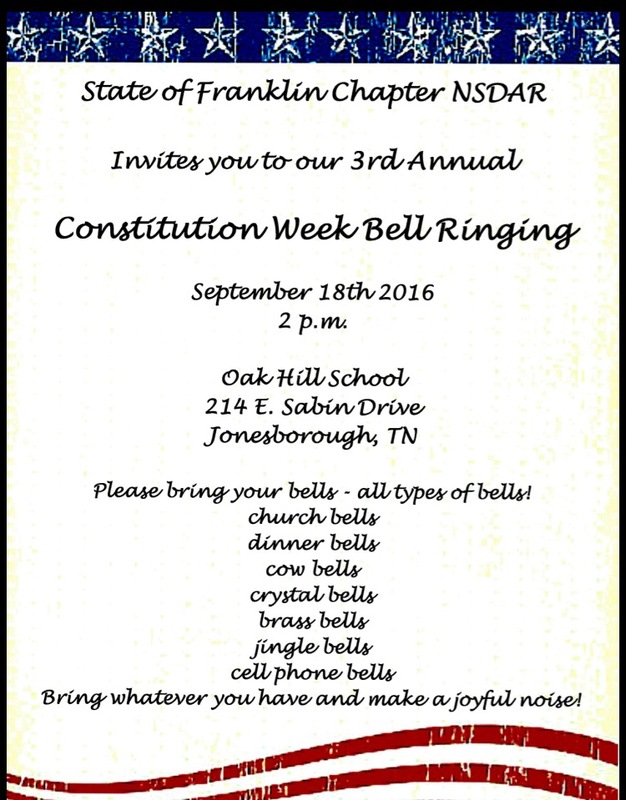 Bring your bells on Sunday and “make a joyful noise” as America celebrates the Constitution.